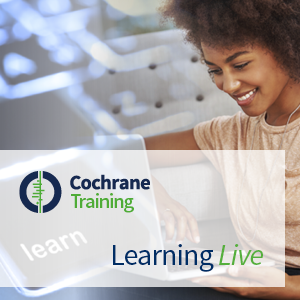 This webinar, which was part of the Cochrane Learning Live programme, demonstrates the web version of the Cochrane Register of Studies, and how this can be used to import references to RevMan from Cochrane, either via EndNote or directly. Presented by Steve McDonald, Co-Director of Cochrane Australia, the session gives a hands on demonstration of using these platforms. It will be of interest to anyone planning to or currently conducting a systematic review (and have an Archie account) or people providing support to review authors. You can also download a copy of the slides from the webinar below [PDF].